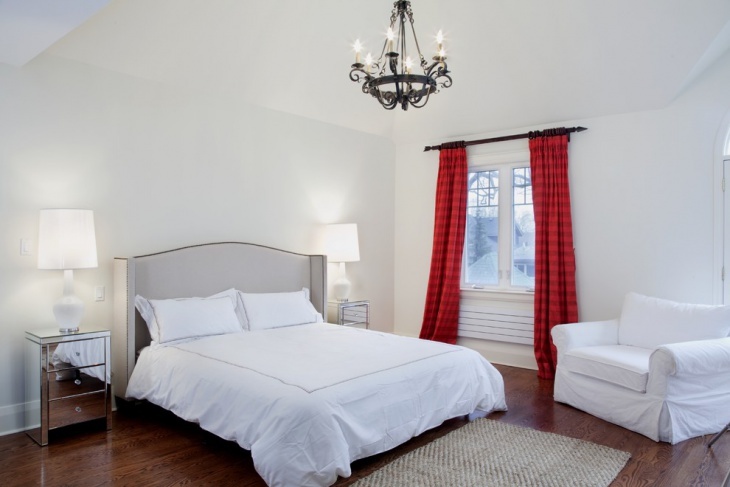 Is selecting the right paint color for the bedroom very difficult for you? 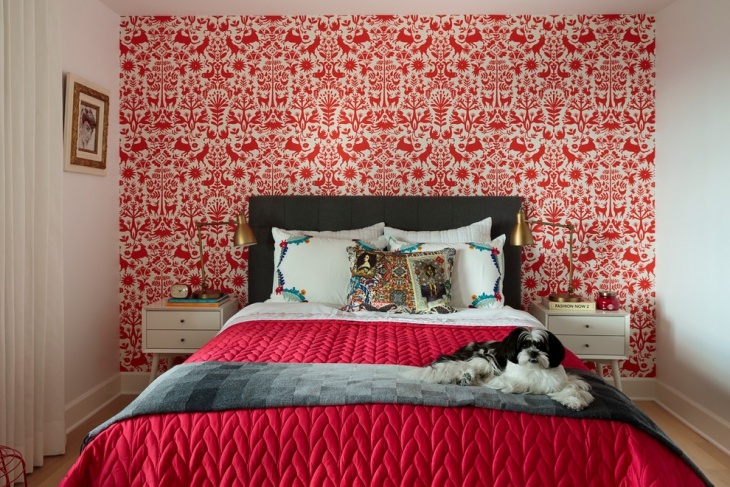 The red and white combination is a vibrant combination which has become popular in modern bedrooms. Every dimension of the room can be glamorized with the right fixtures which harmonize well with these rejuvenating paint finishes. 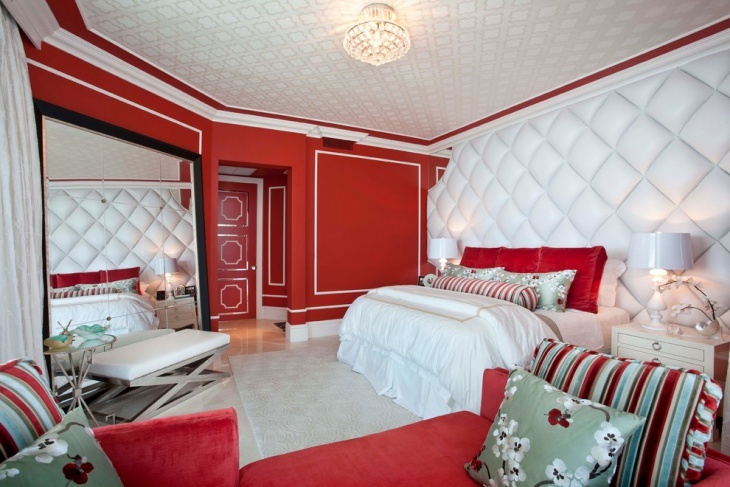 A spacious bedroom can be spruced up with one wall being uniquely painted in red amidst the white painted walls. The black wall art, designer black headrest on the cozy king-sized bed, some tinges of black designs on the cushion of a red couch sofa also makes the room handsome. The contrast effect of a dark red paint unique from the white wall looks striking when embellished with a number of stenciled wall arts. The interiors with beautiful tiling in white, nice hand blacked floral cushions on black and white designed bed sheet fabric can look picturesque in a bright room with tall glass panes. The room completely soaked in a red and white hues with red and white cross design floor tiles, red cabinets, red and white design on the bed fabric definitely synchronize well together. The brick wall with beautiful wall art and fireplace makes the bedroom warm. It also complements well with the color combination in the room. The guest bedroom highlighted in reddish tones like tangerine on the walls look uniform with similar color rectangular throws on the bed. 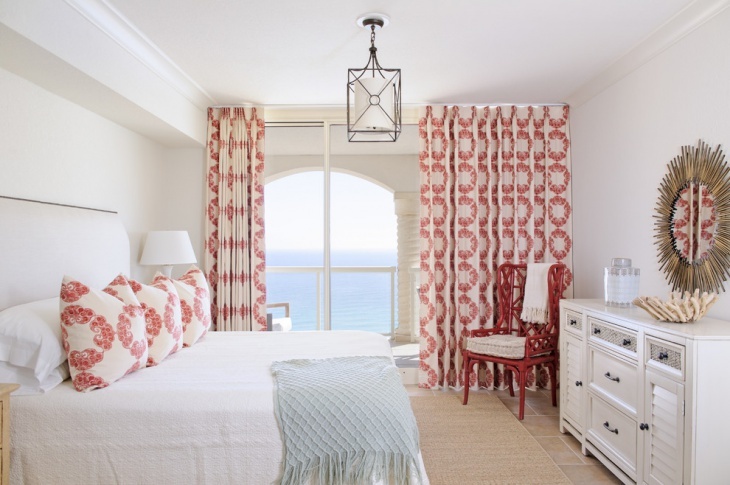 The floral accents on the curtains and pillows, designer bedside ceramic stool with a flower vase and wooden bedside table, also look unique and accentuate the whole decor. 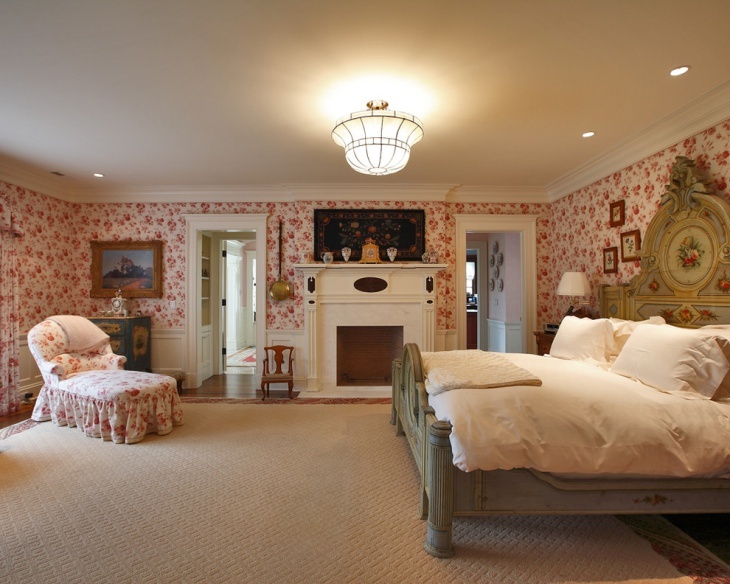 A white embossed fabric wall in bedroom conforms to the Victorian style and adds glamor especially for a master bedroom. 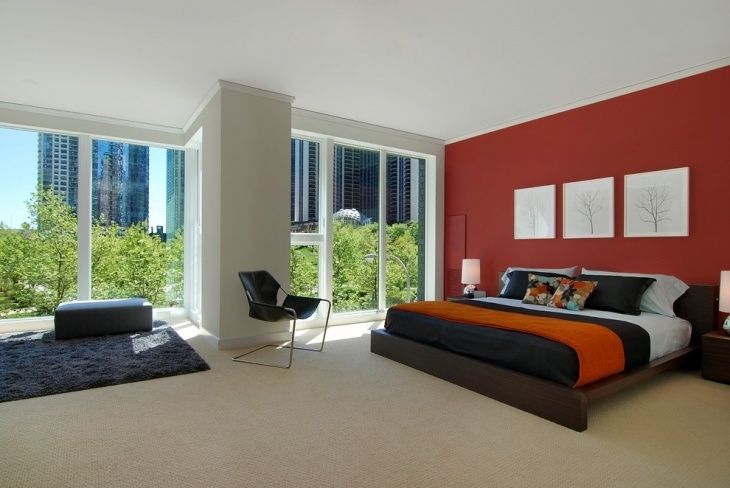 The mirror wall effect also leads to the elegant red and white bedroom looking spacious. The interiors including cool bed and couch sofa set as also artifacts like vases look fascinating. The beautiful lights accommodated in the corners of a false ceiling, bed lamps, hanging ceiling candle chandeliers gives a bright and amorous environment to the bedroom. 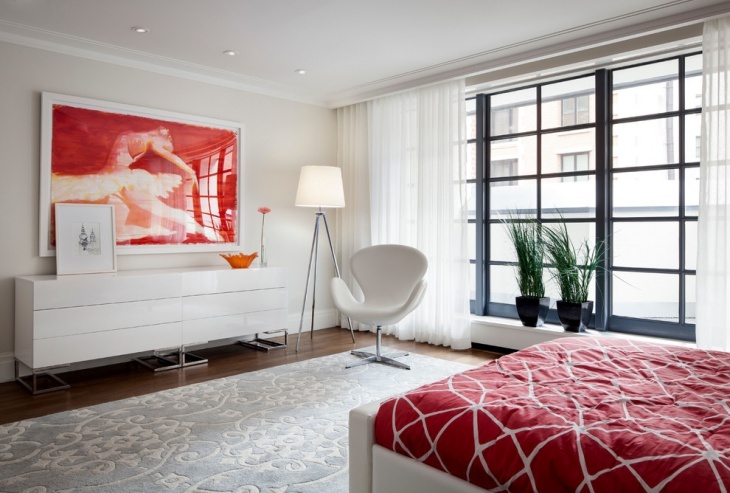 The red color shades in cushions, lamps also harmonize well for a subtle white beautiful couple bedroom. The white backsplash on the brick textured walls with red rugged carpets, red bed and a comfortable red chair and stool look ideal accompanying the wooden flooring. The white door opening to the gallery lightens the room bright in the day time. 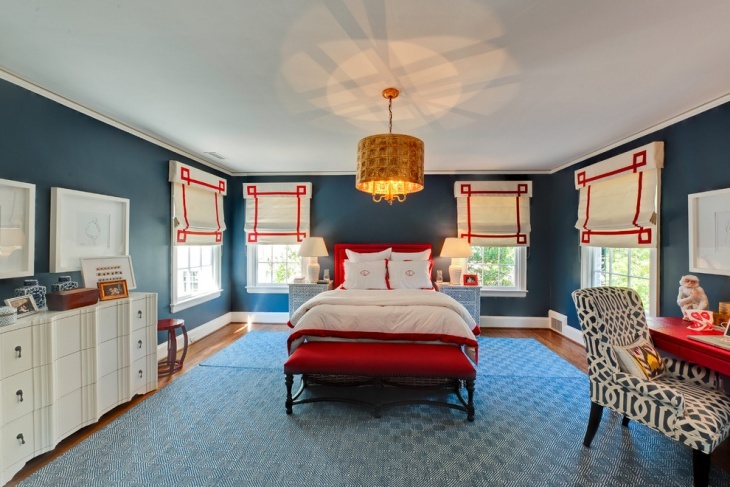 The kids love a splash of dazzling colors like red for their bedrooms. 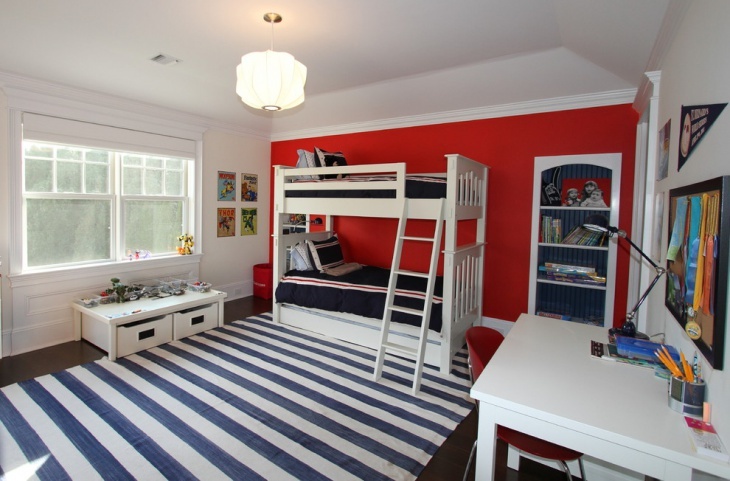 The children can enjoy a nice time on their white bunk beds placed beside the red wall. The study table opposite to glass windows and a bookshelf can make the room perfect for the kids. Matching with the sophisticated taste of the teenagers, the rooms can look just perfect with bold red, black and white color combinations. The contrast white cabinet color gels well with the red and black combination designer carpets and bed sheets. The guitar stand, the red cushions on the bold black bed frame, interesting, fresh wall art designs makes the room youthful. The vintage bed sheet with traditional designs in red and matching red rugged carpet can favorably gel best with a white brick textured bed side wall. The beautiful white lamp, some traditional wall art, also a nice vintage bed frame can look exhilarating and exotic. The eclectic interior design idea for an airy and bright red and white bedroom definitely makes the colorful room look chic, mood lifting and astonishing for everyone. 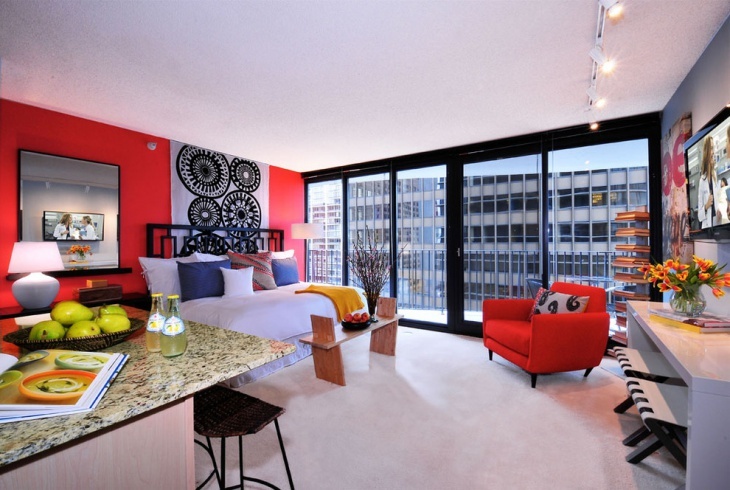 If you have a red and white bedroom at your place, we would like to have a look.